Hurricane season is June 1 through November 30. The following tips can help you plan and be better prepared. Plan for any storm that may come your way. 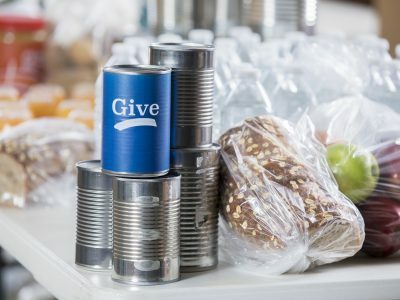 You’ll need enough supplies and nonperishable foods to last your family for an extended period. Rouses Markets Hurricane Preparedness Flyer includes tips and check lists to better prepare. Helping our neighbors in need is our number one priority in times of crisis. We work directly with disaster relief services and our local food banks during and after storms. We donate emergency supplies, drinking water, groceries and food, and provide ways for you to help those affected by natural disasters, both in store and online. Send an e-gift card to family or friends affected by a storm, hurricane or natural disaster.